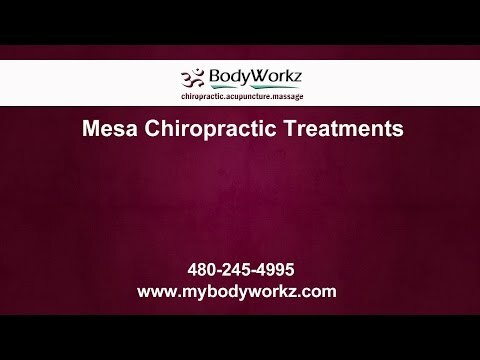 In the world of sports, athletes are in a constant threat of physical risks, like muscle injuries or spine issues because of the constant stress that is applied to their body every time they do training or competitive events, focusing on fitness and agility; this is one of the main reasons why it is recommended to seek chiropractic treatments in Mesa for athletes. Nowadays, professional players train up to 300 days a year, which can increase the chance of getting an affliction. This is why most sport athletes have their own sport injury chiropractor. A sport chiropractor in Mesa mainly focuses on the rehabilitation of sport players, making sure to manage their injuries for a safe and fast recovery, providing conservation management to not make them push themselves over the limit and prevent more issues. It does not matter what sport or age you are, if you are serious about doing sports, you should also look for a good chiropractor. One of the most important parts of our body is the spine, which holds everything together; this physical structure contains many pain-sensitive tissues like muscles, nerves, discs, ligaments and others. Whenever a sport player gets an injury, he or she can end with an abnormal spine alignment which causes a really big amount of stress in these tissues. In cases like this, spinal manipulation is effective in the restoration of the player’s health. If you have any question about these procedures, don’t hesitate to call us at our contact information as we promise to clear all your doubts and make you leave satisfied with our answers. Normally, athletes take aspirins when they get an injury that affects their muscles, or their spine, to ease their pain, but there is a more effective way to take care of it. There are some studies that indicates that chiropractic treatments for athletes helps them fully recover from injuries and sport accidents without the use of painkillers or surgery. In other words, the benefits and results are the same, just in a more natural way. There are many beneficial things that can come when visiting a sport injury chiropractor in Mesa. Sports that uses a huge amount of strength, like hockey or wrestling, are considered high-impact sports and can athletes can receive a lot of benefits if they treat their injuries with spine adjustments since it will reduce the irritation of the nerves, shortening the healing time from minor injuries and improving athletic performance, better flexibility and increased blood flow. Don’t get me wrong, low-impact athletes can benefit from visiting a sport chiropractor as it can help them relieve the strain of their body. Chiropractic treatments for athletes provides natural way to prevent worse injuries. Every chiropractor that specializes in sport injuries should always be prepared to make a unique program for the athlete to avoid more injuries. Besides regular orthopedic tests, there can also be some neurological examinations and extra evaluations to supplement some physical exam findings. A sport injury chiropractor is capable of indicating what you need to improve in order to have a better performance. As you may already know, athletic performance is affected by a mix of strength, agility, endurance, coordination and others. Doing exercise in sports makes you train these abilities and bring you benefits like the improvement of your motor skills and also it helps you learn more about teamwork and friendship while taking impacts to your body. If your spine starts to get affected, it can make you lose the optimal functions of your body systems, affecting your athletic performance. You should look for a chiropractor as soon as possible before getting back into your training. Remember that if you are located in Arizona, you can contact BodyWorkz at any time to receive assistance of any injury.